We are delighted to announce that Scouts.Digital 2.0. (S.D) is live and offers a number of improved benefits to Scouters, Groups, Districts and the Regions compared with version 1.0 which has been in use until now. We want the system to accurately reflect the real picture. So , If you have not yet registered on Scouts Digital we urge you to do so or talk to your SGL, DC to help you get started. Scouts Digital has built in checks and verifications to help ensure data is correct and that the supporting documents are loaded. To browse and verify your profile’s information go to http://za.scouts.digital. 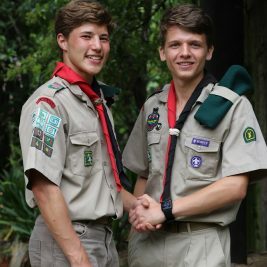 Scouts Digital is the official membership database for all SSA members.. For more information on how to move from SD1 to SD 2 or to register click here. Did you know that you can attend Adult Leader Training in any Region? Many Regions have details of upcoming courses on Scouts Digital and you can apply through Scouts Digital. Also check your Regional website for future courses. New Scout Wiki is online!